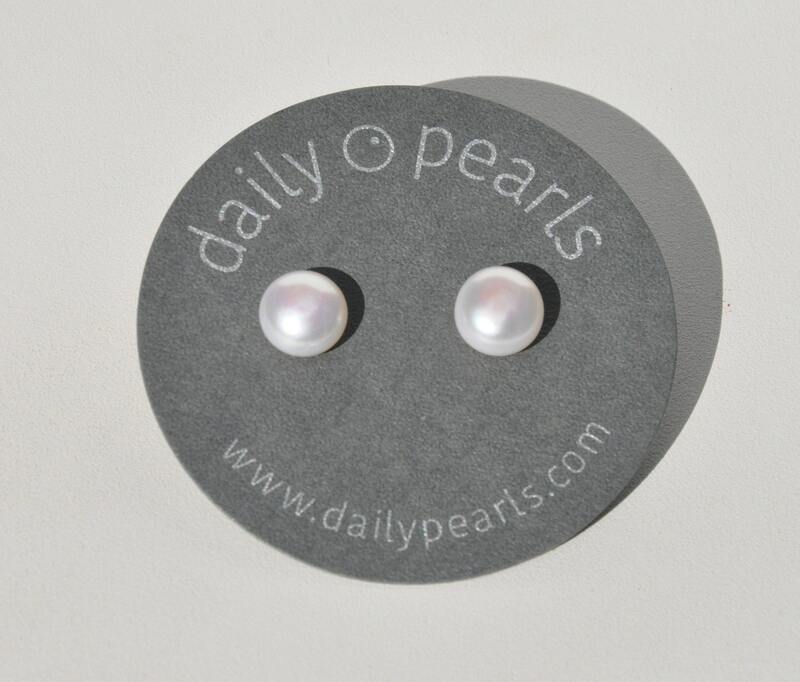 These are the largest round freshwater pearls available from Daily Pearls. 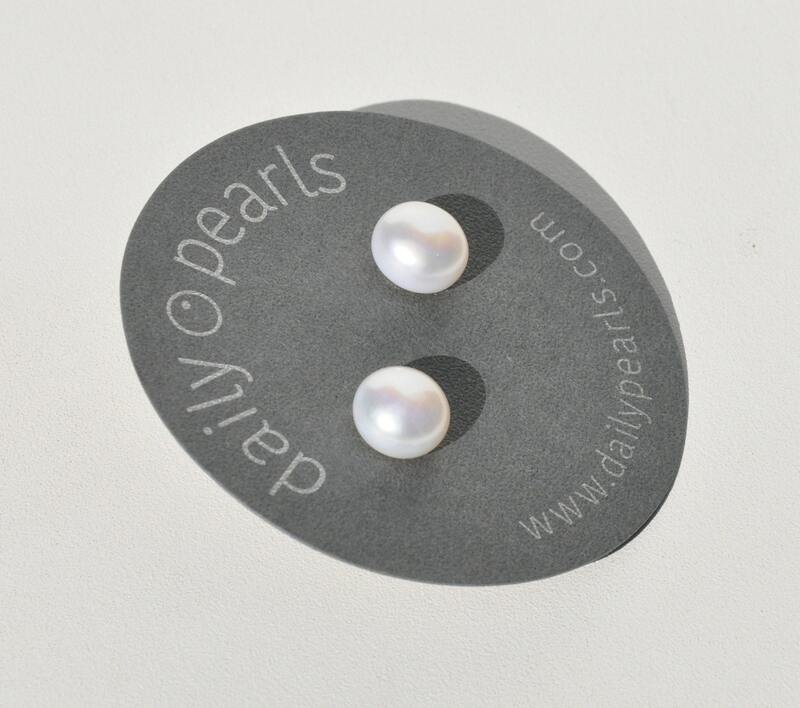 They have a bit of presence, and are perfect for a woman who prefers are more traditional pearl earring. 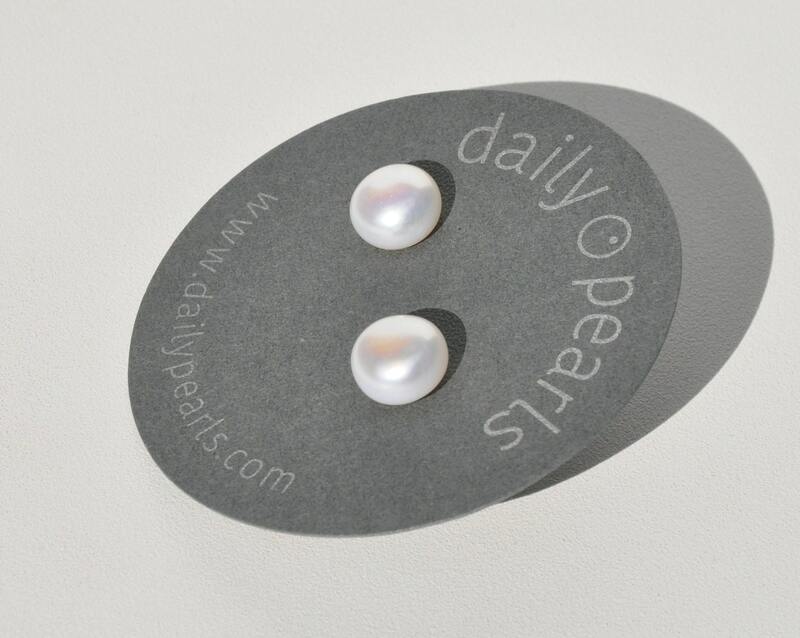 In white, they are classic and versatile. 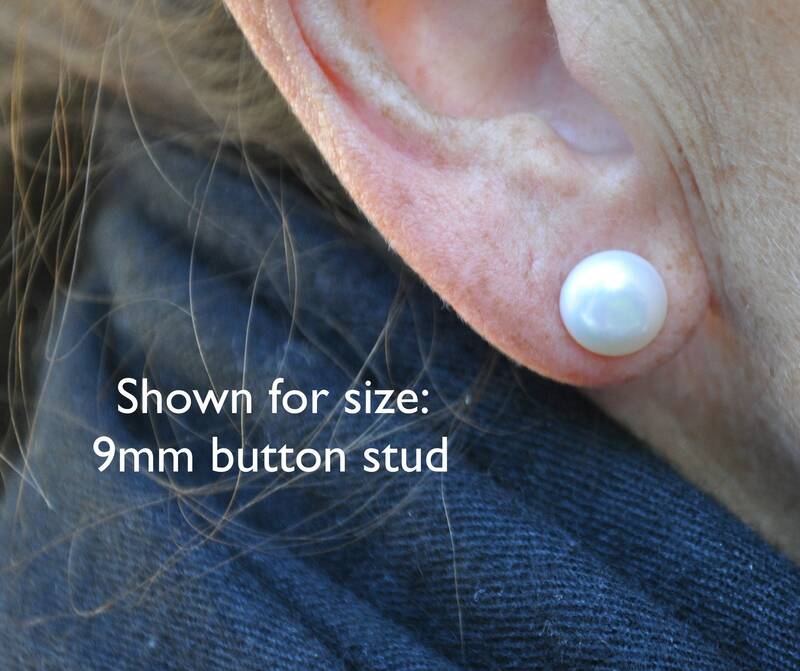 The photos above include a 9mm stud on the ear. 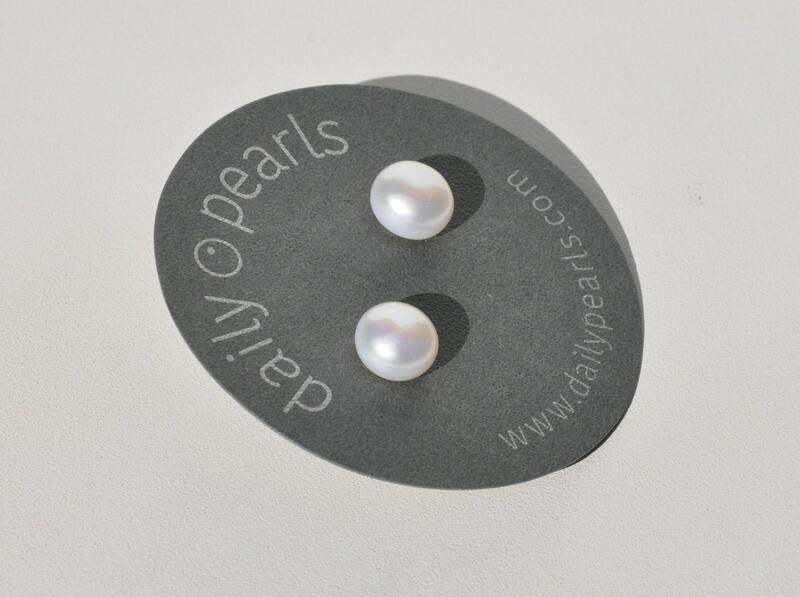 If requested, earrings will come with a pink gift bag and tissue paper.